Approximately 12"x18". 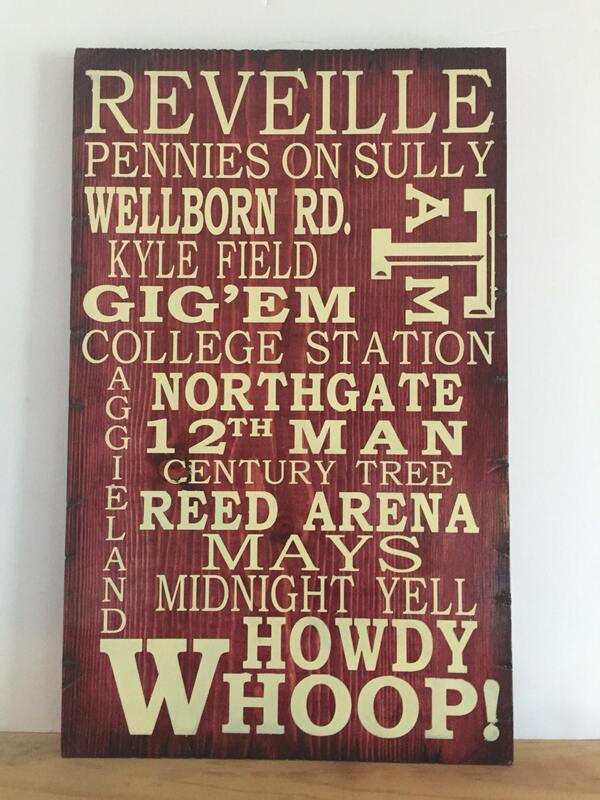 An Aggie Collage sign for your favorite Texas A&M loved one. This can be customized, so if you'd like certain words taken out and replaced with others, please let me know.